The National Alliance for Arts in Criminal Justice is the national umbrella network for arts practitioners working in criminal justice settings. The Art Alliance have developed a searchable online library which houses key research and evaluation documents on the impact of arts-based projects, programmes and interventions within the Criminal Justice System. 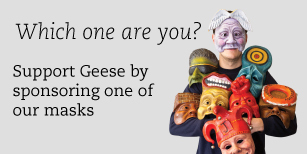 It also hosts the vast majority of published research into Geese projects.